EDUCATION WITHIN SUSTAINABLE DEVELOPMENT. The 2030 Agenda for Sustainable Development unites global development goals in one framework. The fourth global goal on education (SDG4) succeeds the Millennium Development Goal and Education for All priorities for education. At the World Education Forum in Incheon, Republic of Korea, in May 2015, representatives of the international education community signed the Incheon Declaration, embracing the proposed SDG 4 as the single universal education goal, which commits countries to ‘[e]nsure inclusive and equitable quality education and promote lifelong learning opportunities for all’. SDG 4 and its 10 targets advance a model where learning, in all its shapes and forms, has the power to influence people’s choices to create more just, peaceful, inclusive and sustainable societies. To provide a clear blueprint for implementing SDG4, the international education community adopted the Education 2030 Framework for Action in Paris in November 2015 (UNESCO, 2015a). Education within the 2030 Agenda for Sustainable Development is founded on principles drawn from a rich history of international instruments and agreements. These principles state that education is both a fundamental human right and an enabling right, i.e. it enables other human rights; that it is a public good and a shared societal endeavour, which implies an inclusive process of public policy formulation and implementation; and that gender equality is inextricably linked to the right to education for all (UNESCO, 2015a). These principles are inspired by a humanistic vision of education and development based on human rights and dignity, justice and shared responsibility. WHAT KIND OF EDUCATION IS NECESSARY? It is taken for granted that education of good quality can help develop citizens who are capable and mindful, which in turn improves their livelihoods and those of others around them. But the Incheon Declaration makes clear that certain knowledge, skills and values promote sustainable development more than others. Not all education brings the same benefits to everyone. Time, place, situation and context matter (Harber, 2014). 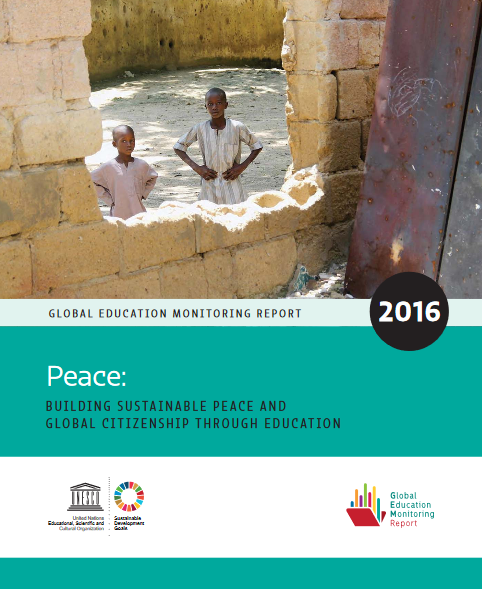 Education and lifelong learning can support the SDGs with at least two approaches. The first tends to focus on literacy acquisition and retention or on specific knowledge to generate behavioural change, showing that education can facilitate changes in values, world views and behaviour at the level of the individual, the community and society as a whole. This works particularly well when agreement exists on common values and the best and most desirable behaviours – for example, the idea that reducing food waste and energy consumption is important for sustainability and that people can reduce food waste and conserve energy at home. The second approach focuses on the development of agency, competencies and participation, showing that education can facilitate reflective or critical learning, knowledge and skills acquisition, and greater agency to address complex sustainability issues – for example, how to create a sustainable school or a carbon neutral city. This is particularly important where uncertainty exists over what needs to be done or when context-specific solutions need to be identified through collaborative and iterative processes. Both education approaches are complementary for engendering critical learning and sustainability outcomes. The transformation needed for a cleaner and greener planet requires integrative, innovative and creative thinking, cultivated jointly by schools, universities, governments, civil society organizations and companies. This collaboration calls for an education that goes beyond the simple transfer of knowledge and desirable behaviours by focusing on multiple perspectives – economic, environmental, ethical and sociocultural – and by developing empowered, critical, mindful and competent citizens. Such education can contribute to the realization of new forms of citizenship, entrepreneurship and governance that centre on the current and future well-being of people and the planet.